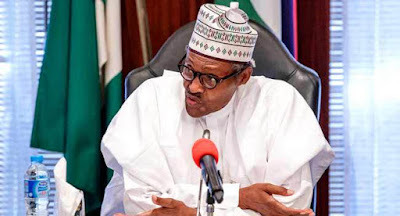 Kunle Olajide, the Secretary-General, Yoruba Council of Elders (YCE), has tasked President Muhammadu Buhari to ensure true federalism and national unity in his next government. Olajide told the News Agency of Nigeria (NAN) that the president needed to return the nation to the era of revenue generation and not sharing of allocation. NAN reports that Olajide is also a retired medical practitioner and a traditional title holder in Ibadan land. “I have written a congratulatory letter to the president on his re-election and assured him of YCE’s support for his administration towards achieving a greater Nigeria. “In the letter, I told him that his victory carries enormous responsibilities among which were the need to ensure national unity and a revisit of the El-Rufai’s committee report on restructuring. “The president has replied the letter, appreciating it and the in-depth suggestions. “He assured me that the suggestions will be given adequate cognisance,” he said. The YCE leader said the nation could achieve rapid growth and development with true federalism which allowed devolution of powers. He stressed that the decisions of the Gov. Nasir El-Rufai-led committee on restructuring set up by Buhari’s administration in 2017 was far-reaching, calling on the president to revisit the report. “We have to gradually move back to the period of generating revenue and not sharing revenue. “Each federating unit should be allowed to exploit and explore its resources. “They should then pay an agreed percentage to maintain few essential services in the centre such as Defence, Foreign Affairs, Immigration and Custom services,” he said. Olajide said that there were only 14 items on the exclusive list in the First Republic and the rest were residual for the states. According to him, “today, there are 66 items on the exclusive list. The intervention of the military in 1966 truncated the march to true federalism. “So, in the next four years, Buhari should be able to finish the process, foundation and implementation of the El-Rufai’s committee recommendations. He also called on the president to make national unity a priority, urging him to ensure that all parts of the country were given sense of belonging through appointments and projects. “The president should ensure that his appointments reflect the diversity of Nigeria and in line with the Federal Character Principle enshrined in the Nigerian Constitution. On the 2019 general election, he said that the nation had made some progress, adding that the conduct was still better than those witnessed in the past. Olajide opined that INEC should be unbundled from its overloaded responsibilities. He said the electoral umpire should only be responsible for registering of political parties and conduction of elections. He called for the constitution of Election Offence Tribunal to handle cases of electoral malpractice. The YCE leader said that civil security agencies and not military, should play roles in elections, suggesting recruitment of more personnel for the police as well as NSCDC to meet up with required number. “Let me confess. I am very proud of the Yoruba race. The outcome of the election gladdens my heart considerably because the political temperature was very high during the campaign season. “Everybody was anxious and worried that there might be widespread violence. Yes, there were violence and skirmishes here and there, but not to the extent envisaged. “Looking at the conduct of the election by itself, I think we have made progress. We are not yet there, but we are far better than where we were before in Yorubaland,” he said.